“TUNE IT! SAFE!” stands for safety in tuning. 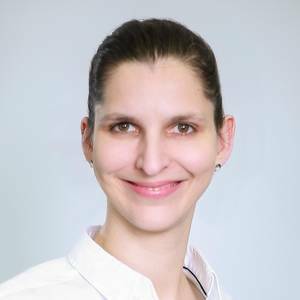 The initiative by the Federal Ministry of Transport and Digital Infrastructure and the Verband der Automobil Tuner e.V. 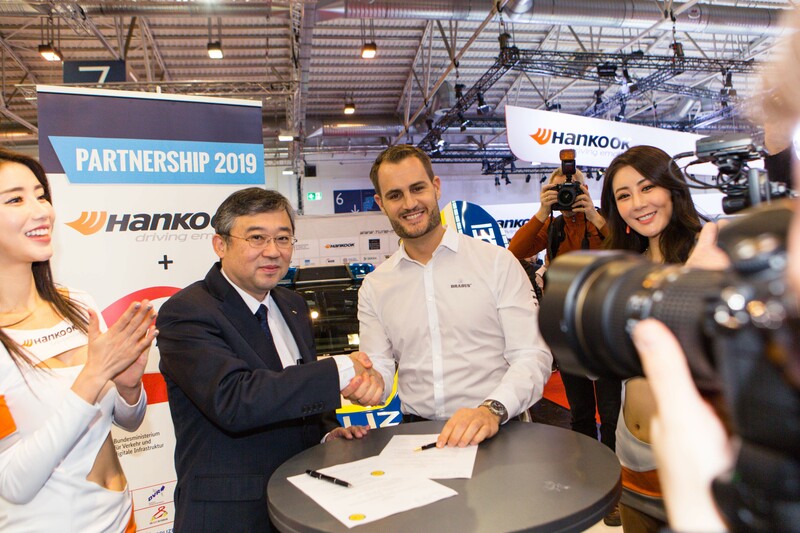 (VDAT - Association of German Automotive Tuners) has been supported by tyre maker Hankook, main sponsor and exclusive tyre partner, since 2005. 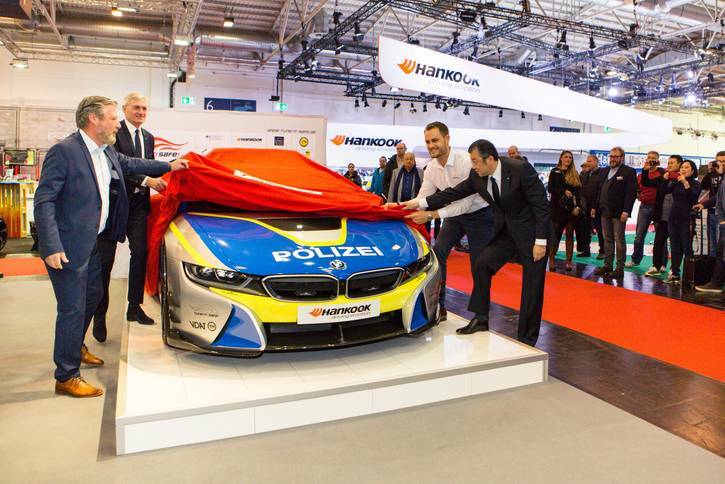 The new police car was presented by the Hankook management on the Press Day at this year’s Essen Motor Show: a BMW i8 Coupé, fitted with Hankook’s new Ultra High Performance tyres (UHP). Neu-Isenburg, Germany, 30 November 2018 – The new campaign vehicle for the “TUNE IT! 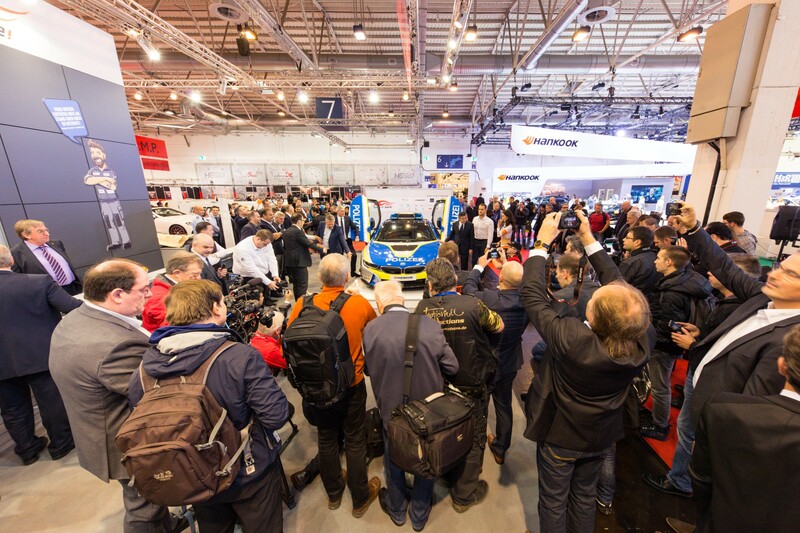 SAFE!” initiative was unveiled at the VDAT stand on the Press Day at this year’s Essen Motor Show. 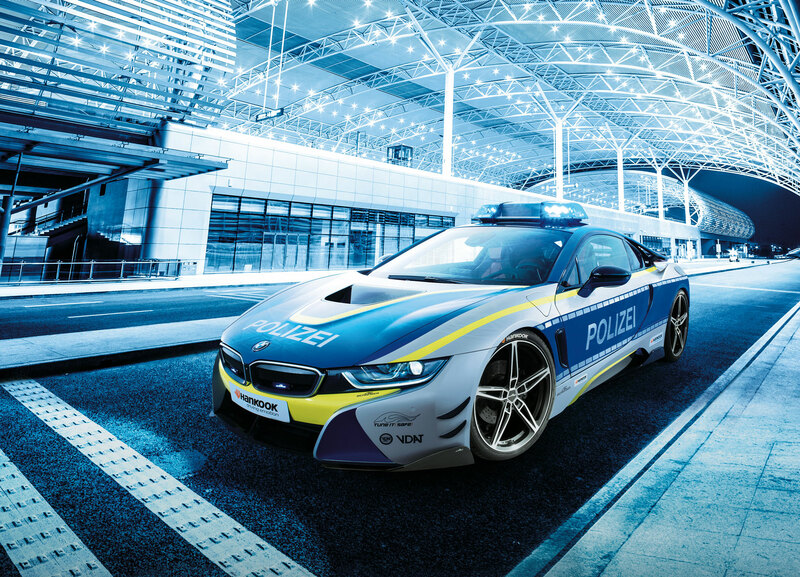 Following the classic tuning concepts of the past few years (VW Golf-R - 2018, Ford Mustang - 2017), this year a hybrid sports car rolled onto the stage - a BMW i8 Coupé. With its new Ventus S1 evo 3 tyres, it is the fourth BMW in the history of TUNE IT! SAFE! campaign ambassadors. The striking shape and design of the BMW i8 Coupé are the distinctive features of the current best-selling hybrid sports car in the world. For the tuning community, components from AC Schnitzer among others are setting new benchmarks: a complete wheel set, a carbon aerodynamic kit, vehicle springs set and aluminium pedals round off the sports car’s tuning package. 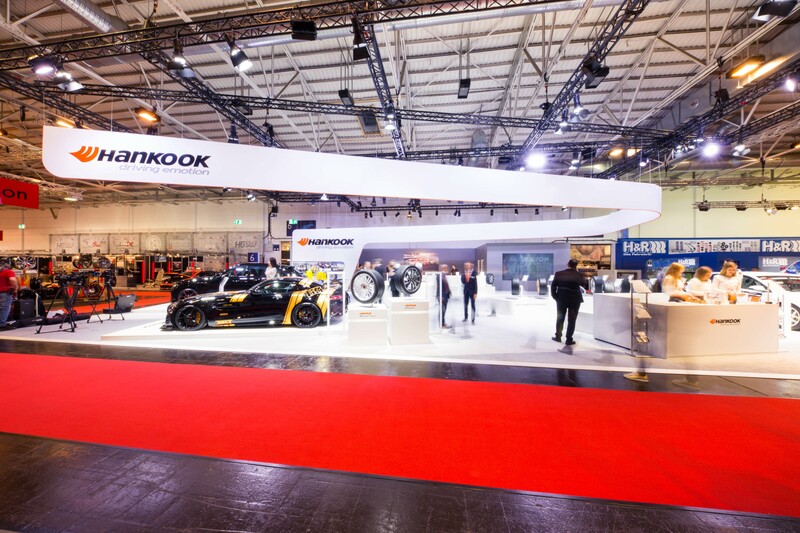 This also applies for the UHP tyres from Hankook – the new Ultra High Performance flagship for passenger cars and SUVs, the Ventus S1 evo 3, in the fitted sizes 245/35 R21 on the front axle and 285/30 R21 on the rear are a good example for exemplary tuning in the spirit of the initiative. As the manufacturer of a car component which is especially safety-related and always ranks among the top 10 most popular tuning measures, the premium tyre maker feels very strongly about the TUNE IT! SAFE! campaign. 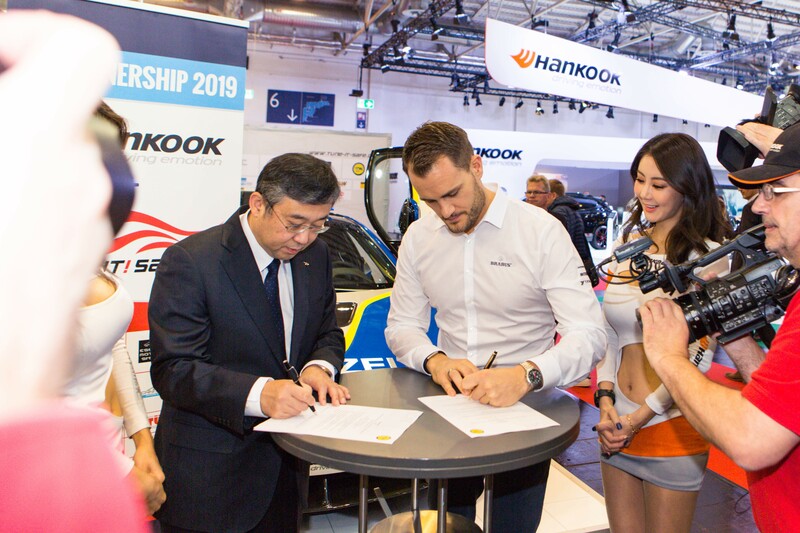 The initiative by the Federal Department of Transport and the Association of German Car Tuners, which has been sponsored by Hankook from the very beginning and supported by further industrial and institutional partners, is already in its fourteenth year and is now the epitome for safe and legal optimisation of vehicles. 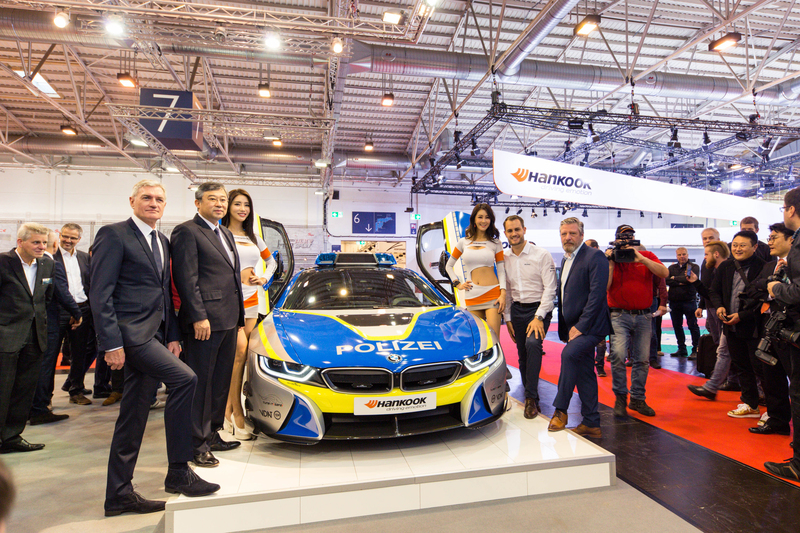 Not only is the BMW i8 police car is safe on the road with the sporty Hankook Ventus S1 evo 3 tyres, the multi-award-winning Ventus UHP flagship tyres of the Ventus line – S1 evo. S1 evo2 and S1 evo2 SUV – have been impressively convincing for quite some time as original fitment tyres on further BMW models and are also factory-fitted by other vehicle manufacturers including Audi, Mercedes-Benz, Porsche and Volkswagen. The focus on the Hankook stand is on the comprehensive and further completed Ultra High Performance range. 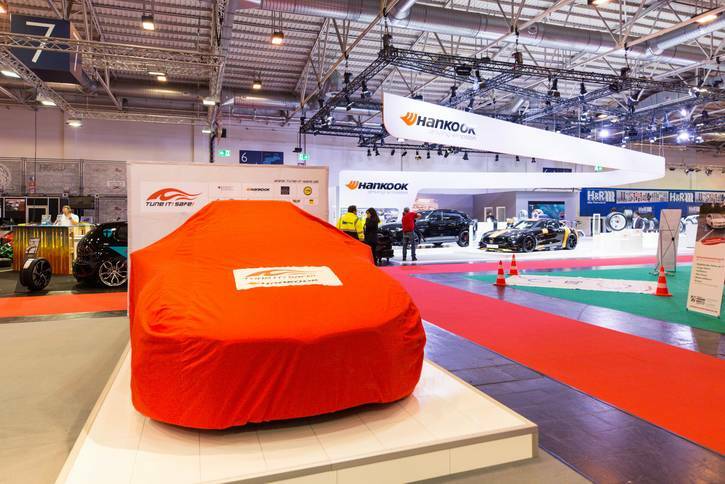 It covers the sectors of particularly high-performance original fitment and retrofit wide-base tyres through to UHP road versions for especially sporty SUVs. The new UHP tyre Ventus S1 evo 3 will be seen on European roads from spring 2019 onwards.